Mainly an amateur format 8mm and its close cousin Super 8 were the most popular home movie film formats and have seen use by some professionals, the films unique qualities have left a lasting heritage and love of this format that is still in use today, needles to say we love the format! Transferring this film into the digital world to retain the unique qualities requires a bit of effort from the transfer technician, done correctly with right film scanning equipment makes big difference and we we think our results speak for themselves. 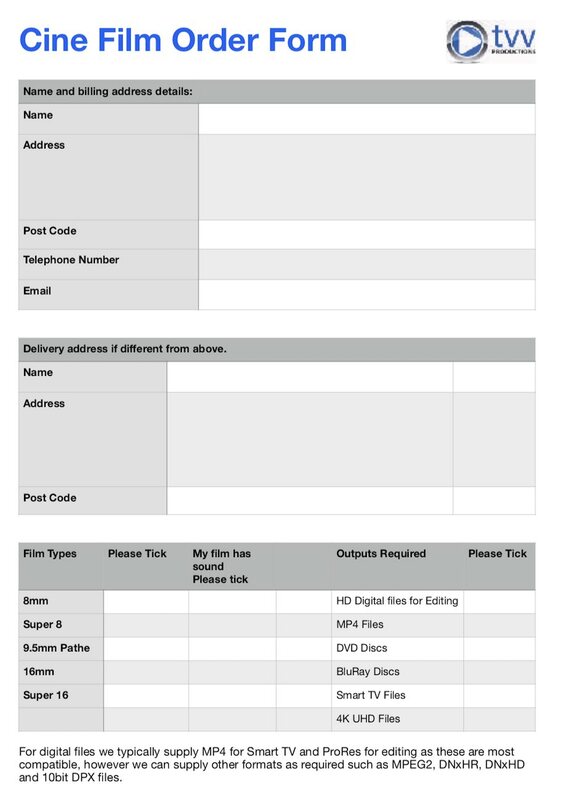 The 4 step process to great film transfers. So what do we do that makes our transfers stand out against the competition, firstly preparation before scanning is key, as the films cell is so small any dust and dirt will be greatly magnified spoiling the image, this is not so much an issue with projection but with high resolution and super sharp optics of the scanner will reveal this in all its glory. So for every film we fully clean it to remove as much dust, dirt, projector oil and wax as possible without any harm to the film. This also gives us a good opportunity to check the film over and repair any bad or broken splices returning your film to a new like state again ready for return and storage. Next the films are mounted onto the scanner and this is not any old scanner but the Filmfabriek Muller HDS+ and adjusted to suit the exact film gate and size, we do primary colour adjustment too, to suit the film type. The HDS + also has a wetgate that can be added, this works by adding a film of liquid just before the gate to fill in any surface damage such as cracks and projector scratches, the liquid quickly evaporates before the film is then wound up. The raw scans are in a full uncompressed format and can be supplied like this or you can opt for further processing, we generally do light digital clean then ingest into one of our edit suites where further work is carried out such as secondary colour adjustment of the mid tones white and black colours. Followed by output to your chosen format such as Smart TV files, BluRay or DVD discs. 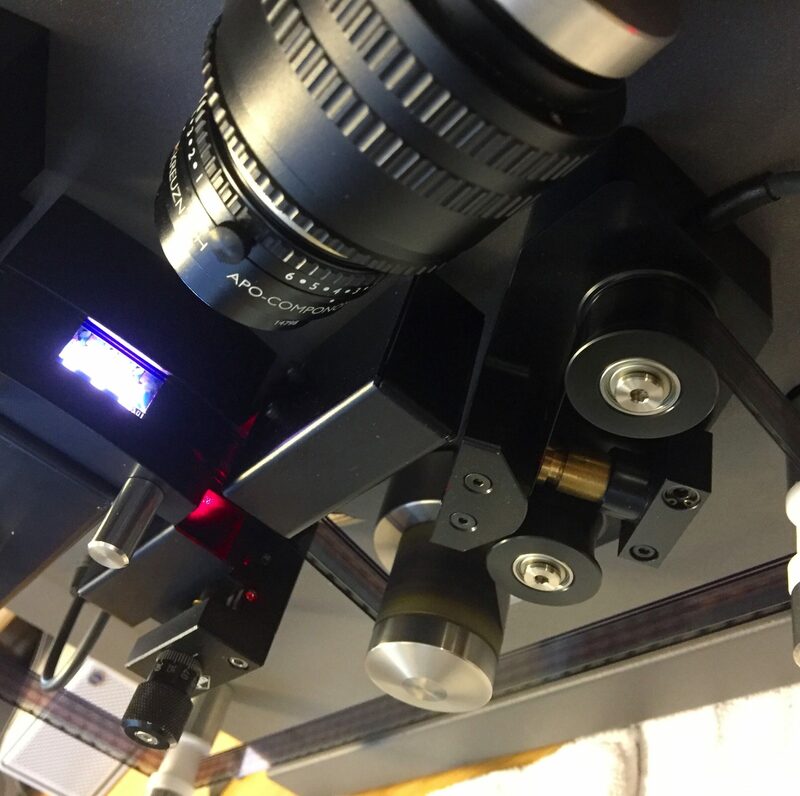 Our scanner is very gentle on film with sprocket-less drive, cool led lighting that flash exposes each frame controlled by laser detection rather than a claw, it also uses PTR cleaning rollers and variable tension which is ideal for some of the oldest films that can be very fragile. In 1932 Standard 8mm Film was introduced by Eastman Kodak as a cheaper alternative to 16mm, the introduction of the Super 8mm cartridge came in 1965 with ease of use and a larger frame size for improved picture quality. Don’t worry which type you have we can transfer both but if you want to identify what type of film you have is to look at the sprocket holes on the film reel. Both 8mm & Super 8 film are 8mm in width and have their sprocket holes on one side. Super 8mm sprocket holes are much smaller than that of standard 8mm film and are elongated and narrow as opposed to the standard 8mm film sprockets which are larger and square. Another difference is that on Super 8mm cine film the sprockets are positioned alongside the image rather than on the frame line which means more viewing capacity with Super 8mm than on the standard 8mm format. Double 8 is often referred to as 25’ft as this was actually 25’ft of 16mm film that was filmed on half of the reel then turned around and filmed on the other half, Kodak then split and joined the film together after processing to make 50’ft of standard 8 film hence the term ‘double 8’. We also convert Double 8 film too. Reel sizes vary from 50ft through to 1’200ft, typically most are mounted on 50, 200 and 400’ft spools.